On the 12th Days of Cookies my true love gave to me... MORE COOKIES!! It’s that time of year once again. Along with The Grinch, Frosty, and Santa, comes the always popular 12 Days of Cookies. Never mind stringing popcorn or hanging out those festive lights. Help celebrate our award winning cookie extravaganza. Our staff and patrons are busy making cookies for the holiday season and for you! We will feature cookies on our blog for 12 days from December 7th to the 22nd (Monday-Friday). You can see the photos of our cookies, get new recipes, and maybe find a new favourite to add to your baking repertoire. We invite you to join in-- we'll even award a gift card to one of our lucky patron bakers. We've loved your photos from years past, so we can't wait to see what you create this year. Here’s how you can join the cookie fun! We've sent extra cookbooks out to all or our branches, so find one at your local library. The cookie recipes will be posted here and on Facebook, Twitter, and Instagram beginning December 7. Stay tuned each day to see which branch will be sharing their cookies and pop in for a treat. 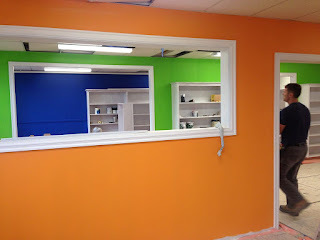 While we are waiting to move from Port Williams "lite' to Port Williams "bright", we thought you'd like to get a little sneak peek at what this space will look like. 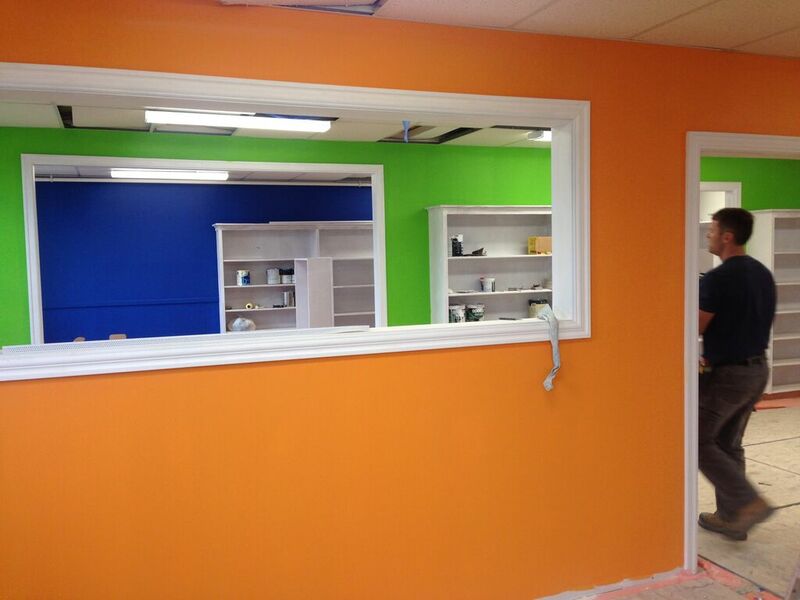 For those of you who know the Port Williams branch, we think you'll be thrilled with the updates! It is going to be fabulous. Just take a look at those colours! And the space is changing so you'll be really happy with how the branch looks once we get back in there. It is taking a bit longer than we expected, but it will be worth the wait. Meanwhile, there's news for two other branches! In Berwick, there's movement on the new building project. The contractor has been chosen for the new Berwick Library, Town Hall, and AVRL Headquarters. Projected date for this project to be finished is March 2017. There's a newly formed Friends of the Berwick & Area Library, and they are meeting this week on Wednesday, November 25. Community input is needed-- be a volunteer, help fundraise, or help with events. If you'd like to make a contribution to the new library in Berwick, you can do so RIGHT HERE via Canada Helps. Our other big news comes from Kentville. Last week the Municipality of the County of Kings announced that it will contribute 50% of the costs for the new library in Kentville. The current library location must be vacated as construction of a nearby bridge is to take place in 2016. The partnership between the town of Kentville and the County of Kings will make it possible for the new library in Kentville to be larger and more modern. 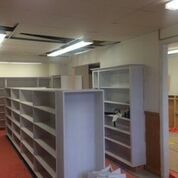 There are currently two locations that are being considered; we hope to know by the end of December where the new library will live. Because we want to know what the community sees for their new library, we will be holding some public consultations in January. Stay tuned for details! In the meantime, if you'd like to donate to the new Kentville library, you can do so RIGHT HERE by choosing Kentville in the drop-down menu. Simply use your library card to create an account that will give you instant access to popular magazine titles. Check them out and read them instantly on your computer. On the move? Download the app so you can read offline on your tablet or phone. Once your account is created you can access Zinio from anywhere. Look for the checkbox to sign up for an alert to be sent to you when the next issue is available. No more trying to be first at the library for the newest issue of a magazine. There is no expiry, you can keep issues as long as you like and there is no limit to how many you can check out at a time. Plus there is access to a years’ worth of back issues. Some titles even provide a print option. Whether you are relaxing at home, waiting in the doctor’s office or on vacation a magazine can always be right there with you. Click here for a list of titles that your library has subscribed to. They include Hello! , National Geographic, Family Handyman and the Food Network magazine. For more information on how to create an account and use Zinio visit the help page. Adult colouring. It kind of sounds like an oxymoron, right? The adult colouring craze has taken off like wildfire. There’s even an adult coloring book publishing trend. With books like “Color your Own van Gogh”, “Secret Garden: An Inky Treasure Hunt and Coloring Book”, and now even a Dr. Who colouring book, there are grown-up colouring books to appeal to everyone! Adult colouring is said to relieve stress. It is a way to relax, and to sharpen fine motor skills in older adults. Many adults are gathering regularly to sit, chat, colour, and unwind. Some people like this activity as a way to meet others, and some find it can create a sense of community. One of our staff members says she likes to colour while she’s chatting on the phone. Whatever the reason, colouring is still fun, no matter what your age is. 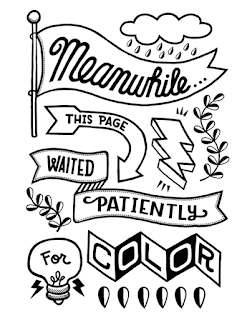 If you want to try it at home, here are some coloring sheets you can download for free. Currently, at our Berwick, Bridgetown, Hantsport, Kentville, Lawrencetown, and Windsor branches you can find colouring sheets and pencil crayons, just for adults. Windsor even has a Wall of Fame where the left-behind coloured-in sheets go. So, stop in, have a seat, and relax. 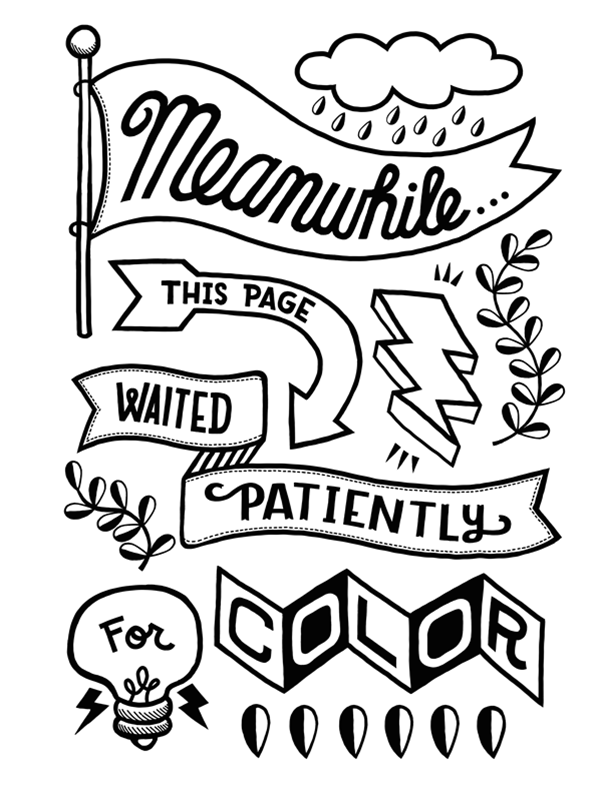 Just choose a page and start colouring. Everyone is doing it! I can’t agree more. 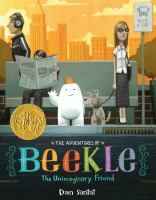 Last year, I served on the Caldecott Committee, which awarded the best picture book published in the United States to The Adventures of Beekle, the Unimaginary Friend by Dan Santat. I spent the year completely immersed in picture books. I read over 500 books—and many of those I read over and over. I looked at the art, how it interpreted the story, how well it was done, how it appealed to a child audience. I spent many hours soaking up the beauty of children’s picture books. This year I will be watching from the sidelines, making my own predictions and seeing what others think. One great place to visit is the Horn Book blog, Calling Caldecott. Check out their list of books they will be discussing. There are some great choices on that list! Ask any child—picture books are fun! Even if you are an adult who has no children to share these fantastic works of art with, you can still enjoy picture books. I recommend picture books over on my blog, ValleyStorytime in case you are looking for a few good titles to while away the hours. And if you want to really get immersed in picture books, I have compiled some blogs & sites that celebrate the form on this Pinterest board. We have a few programs scheduled this month where you can come and look at some of the books that I am loving this year. Picture Book Palooza will be held in Middleton, Annapolis Royal, and Bridgetown. We are also having a contest—take a picture, tag your favourite picture book with #AVRLpicturebook on Twitter, Facebook, or Instagram, and you’ll be entered to win a bag of picture books! Contest ends November 30. Tell us your favourite picture book in the comments. Read picture books to kids. Look at the art, share your favourite with others. The picture book is a portable art form that can be shared just about anywhere. Find some of these wonders in your local library !